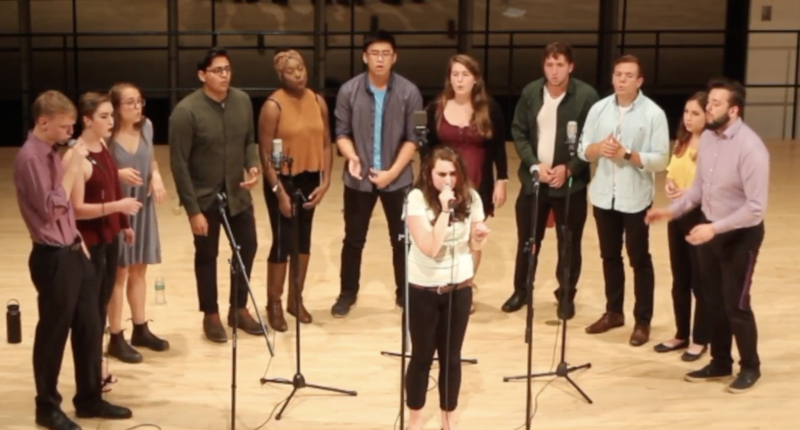 Swarthmore's Offbeat A Cappella Slays With Ferocious Cover Of "Leave Me Lonely"
Someone call the authorities, Swarthmore's Offbeat A Cappella are delivering some dangerously fierce vocals with Ariana Grande's "Leave Me Lonely." It may be a bit gimmicky to refer to any cover of Ariana Grande's tracks from Dangerous Woman as "dangerous" but you'd be hard pressed to find a better description for what Offbeat is dishing out. In their a cappella cover of "Lonely No More" there's both a ferociousness and sadness to Offbeat's vocals that's hard not to stay invested throughout the performance. The lead's raspiness is utterly fascinating and compelling, blending well with the top part of her range. And the backing group adds so much to the storytelling of the song, at times providing backing harmonies and at other moments building on the song's mood with staccato rhythms. The whole performance is like watching a good drama movie, and we're more than happy to pay for a double-feature.